These bars are very, very popular and quite addictive. Great cold or room temperature. Loaded with protein and fiber. Sweetened with brown rice syrup, which is a low glycemic index sweetener. There is no sugar added. These bars give you sustained energy from the brown rice syrup, and they do not cause a spike in blood sugar. 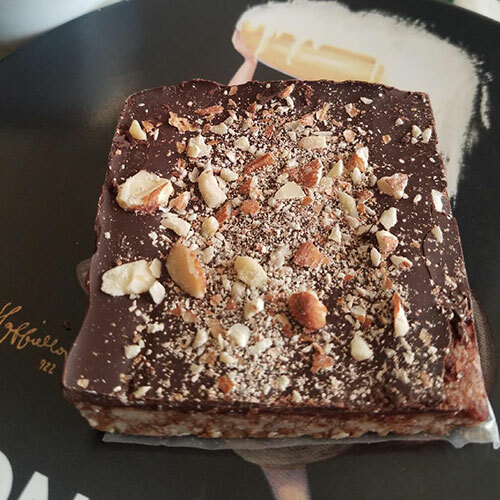 They are topped with organic 72% cacao chips, which are the healthy part of chocolate that is packed with antioxidants. 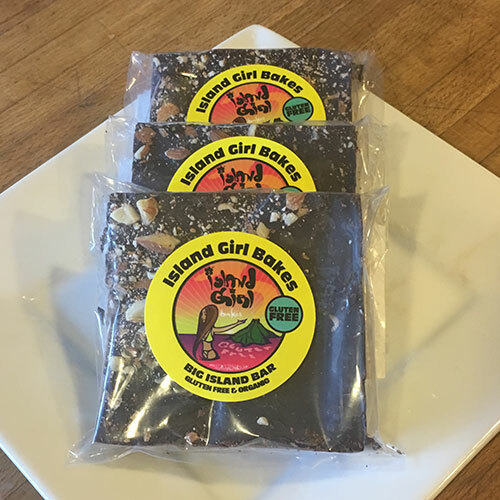 Ingredients: Organic almonds, organic almond butter, organic flax meal, organic unsweetened coconut, organic dark cacao chips, organic brown rice syrup, vanilla extract, celtic salt. Sold by half dozen or full dozen.